With more than 3,000 acres of rolling terrain, Notchview offers an idyllic escape for winter sports enthusiasts, especially cross-country skiers looking for a brisk outing. Seventeen kilometers of trails are groomed and track-set for classical cross-country skiing; eight kilometers are groomed for skate skiing. A separate trail system is groomed for “skijoring,” or skiing with dogs. 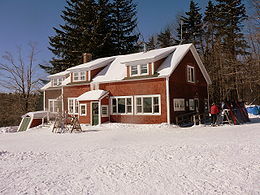 You can also go off track and explore the backcountry, or snowshoe alongside the ski trails. At the new Helen’s Café, the Budd Visitor Center now offers baked goods, soup, sandwiches, snacks, and hot drinks. 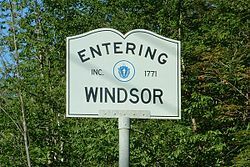 Although some fields are kept open, most of the reservation is covered with a red spruce and northern hardwood forest. Poorly drained areas support a spruce and fir forest that lends a boreal appearance. The landscape has been influenced by years of timber, fuelwood, and charcoal production. The fields and forests are home to many wild species. 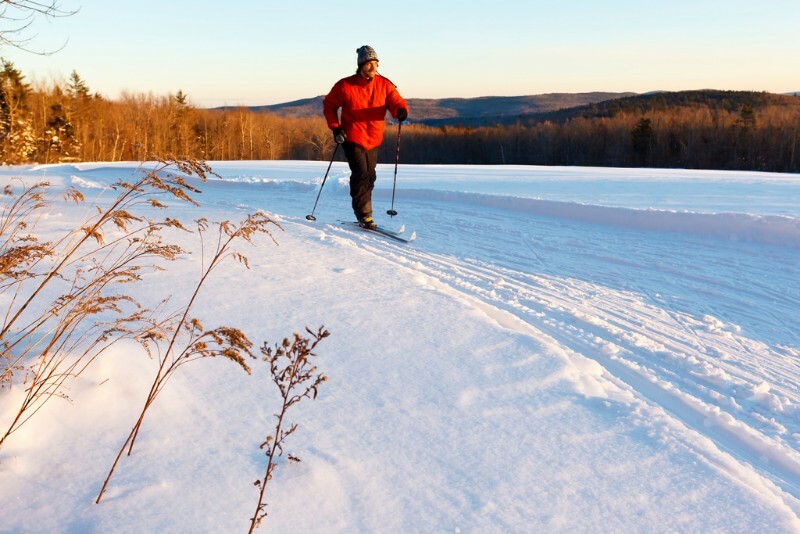 Look for tracks of deer, moose, and snowshoe hare as you ski along. Chickadees barred owls, and pileated woodpeckers live in the forest year-round. Hiking: 25 miles of trails.